Razzmatazz Petite!! Spectacular 6-7mm lampwork mini bumpy beads combined with 6mm color changing Mood Beads (Remember these from the 70's?). sterling silver seamless rounds and Bali silver dotted edge spacers. 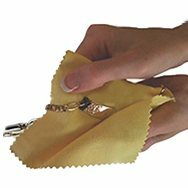 Each bracelet is uniquely yours!! No further discounts available on this laser engraved item. 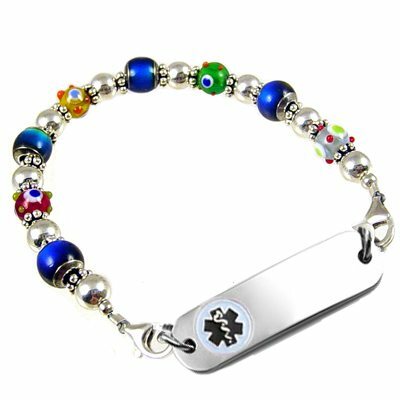 Price includes: One Petite stainless medical id tag with laser engraving and interchangeable beaded strand with two lobster clasps..